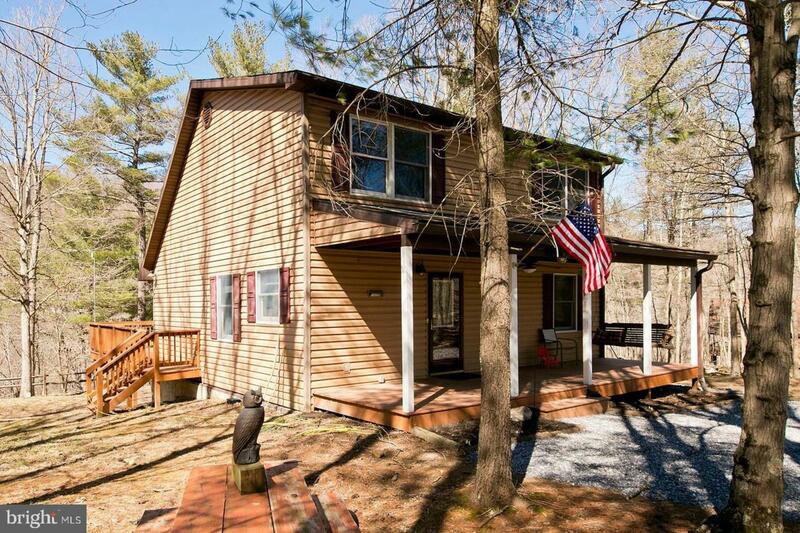 "Captivating Cacapon Cabin"-Have you always wanted waterfront? 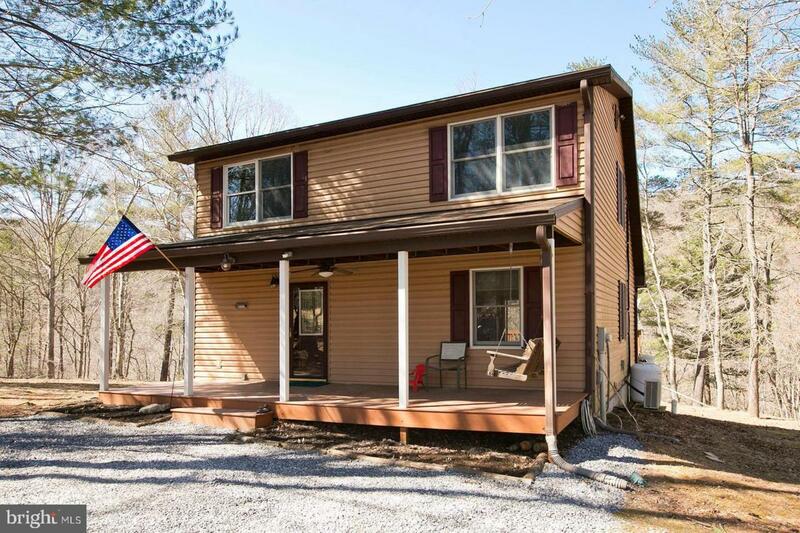 This charming open concept home with 11+ acres has the Cacapon floating right between it. There is wild life to watch & all the peace of country living to be found here. Kitchen has been updated with new black SS appliances (refrigerator & double oven) & trending open shelving. Pull up a bar stool to the kitchen peninsula while a gas fireplace keeps you toasty during the winters. The mini-split & lofted fans will keep you cool during the summer months in the great room with cathedral ceilings. Main floor bedroom is attached to the bathroom w/ stand-up shower. Barn style door hides the stacked laundry area upstairs. 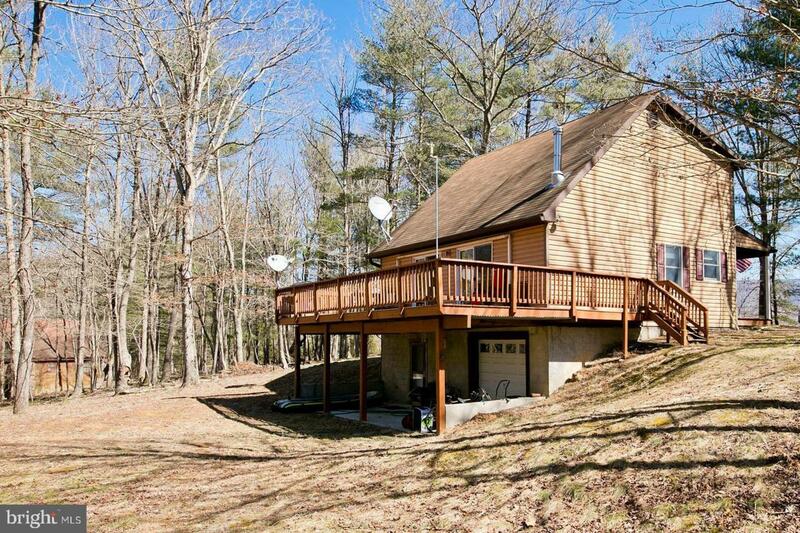 Two bedrooms upstairs are adjoined by a full bathroom w/ tub shower. Potential for more living space, storage, & hobbies galore await in the two rooms of lower level space, complete w/ a garage door entrance & built-in shelves. 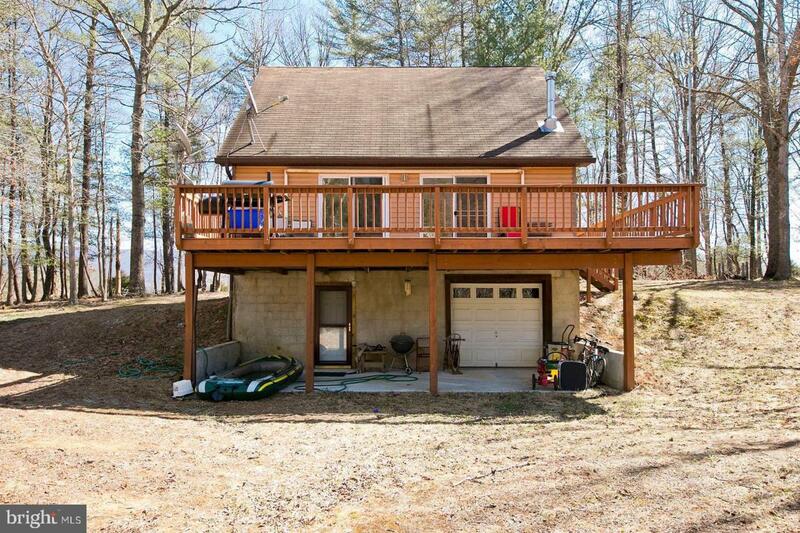 Front & back porch living round out the property's appeal. Follow the large path that leads down a hill to the level river front area for swimming, fishing, canoeing & more. All within a gated community. Come set up your oasis and float the rinow. Exclusions Fireplace Screen Smaller Black Microwave On Kitchen Counter. Listing courtesy of Icon Real Estate, Llc.